The Gnalić shipwreck is a little over three nautical miles distant from Biograd na moru, Croatia, on the Dalmatian coast. Previous archaeological investigations exposed the remains of a large ship dating to the late 16th century. Artifacts excavated at the time include a rich assortment of items and materials including: glass vessels and mirrors, brass chandeliers, shaving razors, and candle snuffers. One of the most interesting and rare finds was a collection of spectacles packed in little wooden boxes. Determining the provenience and destination of all these items will shed light on the nature of commerce routes in the central Mediterranean world of the late 16th century. The ship’s hull, partially preserved under the sediment, is for some the most interesting component of this site. 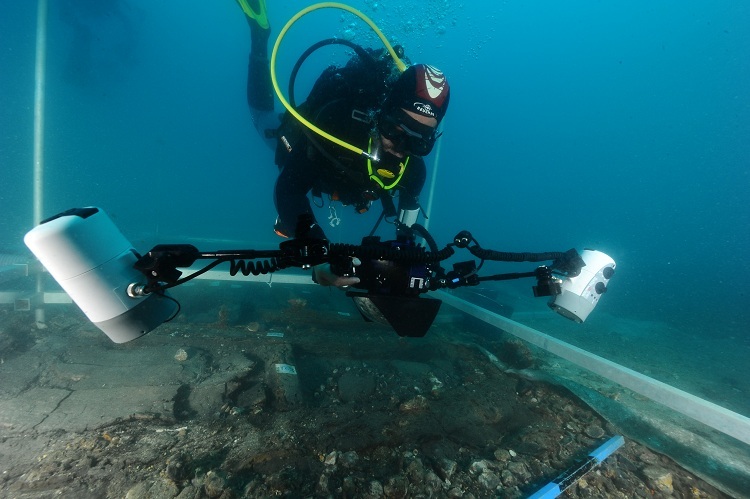 The ships of the late 16th-century Mediterranean are largely unknown, and we believe that detailed study of these hull remains could significantly advance knowledge of this era’s shipbuilding techniques and practices. The current condition of the wreck site was ascertained through an abbreviated diving and excavation season, using the most current site plan available—from a 1996 excavation—to plan a cross-sectional trench across the ship’s hull. A 14 x 2 m aluminum grid was placed over the area to be excavated. The neighboring area was protected with a layer of geotextile cloth on each side, and the excavation was performed with four water dredges. Excavation has confirmed that the preservation of the hull is remarkable, and that numerous artifacts remain on the bottom. Artifacts recovered for conservation this season include barrel staves, lead carbonate cones, hundreds of glass fragments, glass beads, and brass pieces of chandeliers. Photogrammetric mapping of exposed hull sections recorded massive wooden beams and planks that will require additional study in future excavation seasons to develop a complete picture of the ship’s size and construction, as well as its cargo. University of Sheffield. 2016. 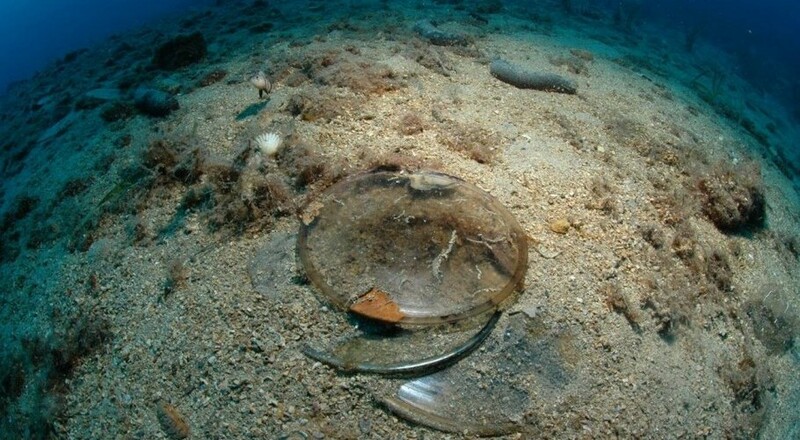 “The Glass from the Gnalić Wreck, Croatia.” http://www.shef.ac.uk/archaeology/research/gnalic. ABOVE: Olivier Bianchimani photographing squares A and B (Photo: Marino Brzac).